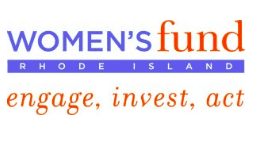 The organizations that received grants are doing impressive work for women and girls in Rhode Island. One of the grantees, Young Voices, has been providing leadership training to low-income youth of color for ten years. The organization gives kids tools, skills, and experiences that will enhance public speaking, networking, analysis, critical thinking, and leadership. 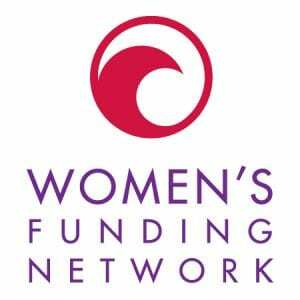 Another grantee, The Center for Women and Enterprise (CWE) has been working with female entrepreneurs in New England since 1995, preparing them for the business world. It educates, trains, supports, and certifies women starting businesses, giving them the tools necessary to getting their foot in the door. With this approach, CWE levels the playing field and opens doors for women business-owners. A third grantee is doing significant work for refugees, work that is needed now more than ever. Aline Binyungu and Clement Shabani started Women’s Refugee Care in 2016 to provide services and support to refugees, and their work has expanded to encompass gender equality for women and girls as well. Their proposed project receiving funding from WFRI will provide counseling sessions to educate and support female refugees experiencing unplanned pregnancies. Blackstone Valley Prep– Funding will be provided to host a one month long summer camp in 2019 to cultivate civic engagement and leadership for 8-11th grade girls. The camp will be accompanied by a full year after school component that will help scholars put what they’ve learned into practice. All documents will be translated into Spanish & Portuguese to ensure recruitment is diverse. Activities will include meetings with female elected officials & allies to learn about running for office, how laws are passed and about their personal experiences in office. They will also meet with organizations to learn about policy making through a gender lens and research policies that affect women and families. Ongoing civic engagement is a goal of the program. Center for Women and Enterprise – ‘Community Classrooms: Spanish Language Entrepreneurship Training’ will provide thirty-six hours of community classroom training and follow-up sessions for up to three years. The program targets 25 women who plan to start a business. Within one year, 15 businesses, 22 new jobs, and $583,000 in wages are expected to be generated. Planned Parenthood– Funding will support the work of the RI Coalition for Reproductive Freedom and broaden its efforts by engaging 50+ volunteers in phone banking, canvassing and meetings with legislators, including youth activists. The Coalition will strengthen volunteer leadership in faith communities, including hosting a briefing and trainings designed to support Catholic legislators for reproductive freedom. Sojourner House– Will provide programming to all 10th grade health classes in Providence Public Schools, so that all students can learn about the root causes of abuse and harassment, engage in healthy behaviors and prevent abuse from happening in the future. The training will be augmented with student led awareness activities that will help promote anti-abuse/anti-violence efforts in each school. The training provided is culturally competent and will be available in English and Spanish. Women’s Refugee Care– Women and adolescent girls in displaced settings struggle with unwanted, unplanned and poorly spaced pregnancies due to lack of access to counseling, contraceptives and education, threatening their lives and the long term well-being of their families. This program includes a train-the-trainer session with community liaisons/interpreters. Several two hour group workshops will be held to teach participants about birth spacing, preconception initiation of folic acid, early prenatal care and different contraceptive methods for family planning. Young Voices – #RaiseOurVoices has supported low-income girls of color to lead an effort to address the root causes of educational disparities facing their peers in Providence Schools. Funded by WFRI in Year One, the girls learned how to analyze research on what could be done to improve graduation rates, culminating in the creation of a policy brief and meeting with legislators. In Year Two, the girls will work to ensure that the policy recommendations are enacted, working with policymakers to influence change. They will also create an app to ensure students know their rights in the Schools Code of Conduct.